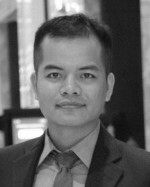 Duong is a principal consultant for FLI at Vietnam and has been providing change management, coaching, communication, customer service, influencing, leadership assessment and development, team building and sales training for both multinational and local companies over the past 12 years. He has trained many key Vietnamese staff due to his extensive experience, understanding of the local business conditions as well as the effectiveness of his training methods. He has the ability to not only pass on the skills and techniques necessary to be successful in business, but also inspire and motivate each participant to achieve their fullest potential. Duong belongs to the new generation of Vietnamese professionals who are ambitious and resilient to pursue advanced knowledge and international experience in order to contribute to the development of Vietnam. He has more than 12 years of experience working in multinational companies holding positions in HR Operations, Learning & Development, Organisational Development, and Sales & Marketing. During his employment with these multinational companies, he has also participated in launching several global learning and human capital projects in Vietnam. He also holds a number of other accreditations and qualifications to help people understand their psychological preferences, enhance their development, and boost their performance as an individual and as a team player.